The family comprises of Dad Edison, known as Ed, Mum Aggie, both in their 50s, and their two sons Michael and James. 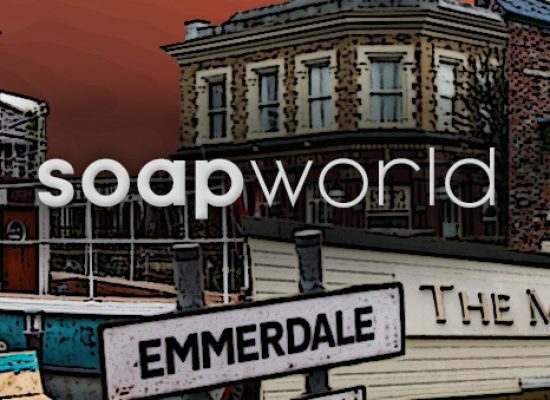 Debuting in Weatherfield this spring, early June to be precise, the family will take up residence in no.3 after acquiring the house from Norris. Edison and Michael have also bought the builders yard from the Grimshaws. Edison’s a former property developer who has moved into the building trade; he works hard but also knows how to play hard. Pharmacy assistant Aggie is friendly, fun and outrageous in equal measures. Although Edison grumbles about his wife, he’s still deeply in love with her. At 27, Michael is the elder of their two sons – a man full of big ideas and get-rich-quick schemes. He relies on his cheeky-chappy charm and is endlessly optimistic, especially in his relationships which haven’t always worked out for him in the past. Michael’s the apple of Aggie’s eye and fiercely protective of his younger brother, though James may be the more mature of the pair. Meanwhile, 19-year-old James is his father’s pride and joy, a gifted footballer who’s already playing for Weatherfield County. He’s good-looking but more brooding than Michael and can need coaxing out of his shell. He’s as dedicated to his dreams as Michael is to his but more quiet, modest and hard-working. James is living with a secret he’s scared to share, how will his family and team mates react when they find out James is gay? Lorna Laidlaw, whose recent credits include the Wizard in The Wizard of Oz at Birmingham Rep and an eight year stint in BBC Birmingham saga Doctors both as the indomitable Mrs Tembe and directing, has landed the part of family matriarch Aggie. Oldest son Michael will be played by Ryan Russell who is best known for his role as a presenter in the CBeebies House. The Baileys soon make themselves at home in Weatherfield and while initially they may rub a few people up the wrong way it’s not long before they’re firm favourites in the community. “I am really excited to introduce this new family – the audience is going to love them! They’re funny, warm and will pull together through thick and thin as we play out the stories we’ve got lined up for them. “Parents Edison and Aggie are soulmates who, underneath the banter, will stick up for each other and defend their boys when the going gets tough. Eldest son Michael is an exuberant, loveable dreamer with a huge heart and is the glue that holds the family together. James is Michael’s younger brother and best mate, who is a sensitive lad with a secret that he fears will throw his family into turmoil and impact on his career.